Painkillers can be an effective way to control serious pain. But some people also abuse painkillers for their euphoric effects. Cravings can occur for a number of different reasons. When people who are addicted to painkillers first stop using them, they often have withdrawal symptoms, which can include nausea, vomiting, stomach cramps, shaking, chills, fevers, and agitation. A person may crave painkillers to stop these unpleasant symptoms. In addition, many people who are trying to stop using painkillers experience strong cravings that can be triggered by people, places, or things that the person associates with using. Feeling as if you can “taste” the drug. Unable to focus on anything other than obtaining painkillers. Cravings and other withdrawal symptoms usually begin within several hours after the last dose has worn off. How long they last will depend on how much the person was using, which type of painkiller they were using, how long they used, and how often they used. 1 Depending on how heavily the person used painkillers, they may continue to experience cravings for months or even years. Cravings can be a frustrating part of the recovery process. But they will eventually subside if the person does not give in to them. Though they may recur, they also tend to become less intense over time. Several different therapies are used to help a recovering user cope with cravings. These therapies are used in inpatient and outpatient treatment programs, in a one-on-one setting, or in a group. Cognitive behavioral therapy (CBT) is the most commonly used treatment for painkiller cravings. CBT works on altering the patterns of thinking that lead to drug abuse. Think through the positive and negative consequences of giving in to a craving. Identify situations that put the person at risk for using. Another common form of intervention for painkillers cravings is contingency management. Contingency management involves providing a person with rewards for not using painkillers or other drugs. Inpatient treatment may last from a few days to a few weeks. Most inpatient treatment includes medical oversight during the detox phase. Individual or group therapy is typically provided to help people control their cravings for painkillers and other drugs. Some facilities are detox-only, and a person wanting longer treatment must transfer to a rehab facility. Other programs combine detox and rehab in the same facility. Outpatient treatment may follow a stay in an inpatient facility and provide a “step down” from a 24/7 program. Outpatient programs run from once a week for 2 or 3 hours up to several hours of counseling per day for several days each week. Many of these programs also provide medical care as well. Outpatient treatment for painkiller cravings may not be the best course of treatment if a person has tried it before and relapsed. Individual counseling is usually in the form of cognitive behavioral therapy. A therapist works one-on-one with the person to practice relapse prevention skills, work through emotional or psychological problems related to addiction, and deal with any other issues that come up during recovery. Individual counseling can be done on an inpatient or outpatient basis. 12-step programs such as Narcotics Anonymous (NA) and Alcoholics Anonymous (AA) are usually part of inpatient or outpatient treatment. Ongoing attendance at 12-step meetings is encouraged to promote ongoing abstinence from substance use. These programs are free and widely available, and they offer a path to recovery that has helped many people get clean from alcohol and drugs. Several medications are designed to help with painkiller cravings. These medications can be prescribed for withdrawal or used over the long term. They should only be used under the supervision of a physician and are most effective when combined with behavioral therapies. Methadone is an opioid medication that can help control cravings and withdrawal symptoms without the “high” of painkillers. It is a safer medication that can be used to stabilize a person in treatment and then tapered down over time. Suboxone (buprenorphine and naloxone) is commonly used to help overcome cravings for painkillers. It acts upon the same receptors in the brain as painkillers. However, it does not produce feelings of euphoria and is safe when taken as prescribed. Naltrexone is usually prescribed after a person has detoxed from painkillers. It blocks the effects of other opioids and does not produce any of the effects of painkillers. Clonidine is often prescribed to help control painkiller withdrawal symptoms. 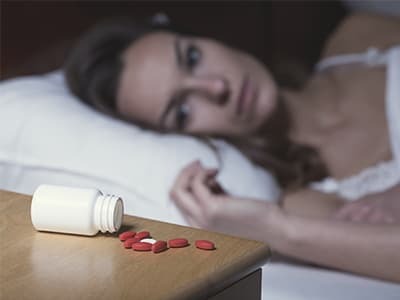 However, it does not address many of the issues experienced by persons in withdrawal and the drop-out rate of programs that primarily use clonidine to treat cravings is rather high. A number of techniques to manage cravings can be incorporated into your daily routine. While these strategies may help, they are often used as complementary techniques to formal treatment or counseling. Exercise. Physical exercise, such as taking walks or working out, can help reduce cravings, relieve stress, improve health, and heal damage done to the body from addiction. Hobbies.Hobbies and other forms of activity can help create a distraction to painkiller cravings. Some hobbies you might want to try include drawing, writing, reading, sports, hiking, and music. Diet. Eating healthy can help improve immune system functioning, boost energy, and reduce the risk of relapse due to sugar crashes or hunger. Sleep. Proper sleep can help avoid tired and irritable feelings that can lead to relapse. Cravings can trigger a relapse in many people in recovery. Stopping attendance at recovery meetings. Thinking that you can stay sober without other people’s help. Believing that you can use “just once” without any consequences. Reminiscing about the “good times” using painkillers. Not dealing with negative emotions or events, such as depression, loss of a job, a breakup, or the death of a friend or family member. Associating with old using friends. Don’t associate with old friends who abuse substances. It is easy to engage in drug use with friends who continue to use painkillers or other drugs. Keep attending recovery meetings. Twelve-step groups and support groups can help people stay clean. Find a sponsor you can call when you experience a craving or are going through a difficult situation. Reach out to other people. Isolation often leads to relapse, so the connection to people in 12-step programs, as well as sober friends and family, is important. Figure out what your triggers are. Work with a therapist, a friend, or a family member to identify the people, places, and things that make you want to use and develop a strategy for how to cope with triggers or avoid them. Learn and practice relapse prevention techniques. Many of the CBT techniques mentioned above can help to reduce cravings, relieve stress, and prevent a relapse. They only require a little bit of practice each day. Develop a plan for dealing with stressful events.They are certain to occur, and it is best to be prepared ahead of time. This plan could include names and numbers of supportive people to call, such as a sponsor from a 12-step program. Participate in aftercare. Before you discharge from your recovery plan, work with the treatment staff to arrange ongoing care or support in the form of 12-step meetings, therapy, or sober living. If you or someone you know needs help with an addiction to painkillers, reach out to a trained referral specialist at 1-888-319-2606 Who Answers? for assistance in locating the best possible treatment program.
. Center for Substance Abuse Treatment. Detoxification and Substance Abuse Treatment. Rockville (MD): Substance Abuse and Mental Health Services Administration (US); 2006. (Treatment Improvement Protocol (TIP) Series, No. 45.) 4 Physical Detoxification Services for Withdrawal From Specific Substances.
. National Institute on Drug Abuse (2012). Principles of Drug Addiction. A Research Based Guide (3rd edition). Cognitive-behavioral therapy.
. National Institute on Drug Abuse (2012). Principles of Drug Addiction. A Research Based Guide (3rd edition). Contingency management interventions/motivational incentives.
. National Institute on Drug Abuse. A cognitive behavioral approach: Treating cocaine addiction.
. Center for Substance Abuse Treatment. Substance Abuse Treatment: Group Therapy. Rockville (MD): Substance Abuse and Mental Health Services Administration (US); 2005. (Treatment Improvement Protocol (TIP) Series, No. 41.) 1 Groups and Substance Abuse Treatment.